Please note that the content of this book primarily consists of articles available from Wikipedia or other free sources online. 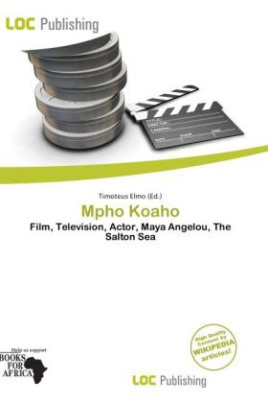 Mpho Koaho is a Canadian/South African film and television actor. Mpho Koaho was born in Toronto, Ontario, Canada to South African parents. He has a sister. Mpho began his acting career when Maya Angelou cast him as the lead in her 1998 Miramax film Down in the Delta. After that, he has starred in films like The Salton Sea, Four Brothers, Get Rich or Die Tryin', and Saw III and VI. In 2009, Koaho was nominated to two Gemini Awards. One for his supporting role on the Canadian mini-series Soul, and another for his guest role on the TV series Flashpoint. He ended up winning the former.